That was sophomore center James Karnik’s goal when he first came to Lehigh. 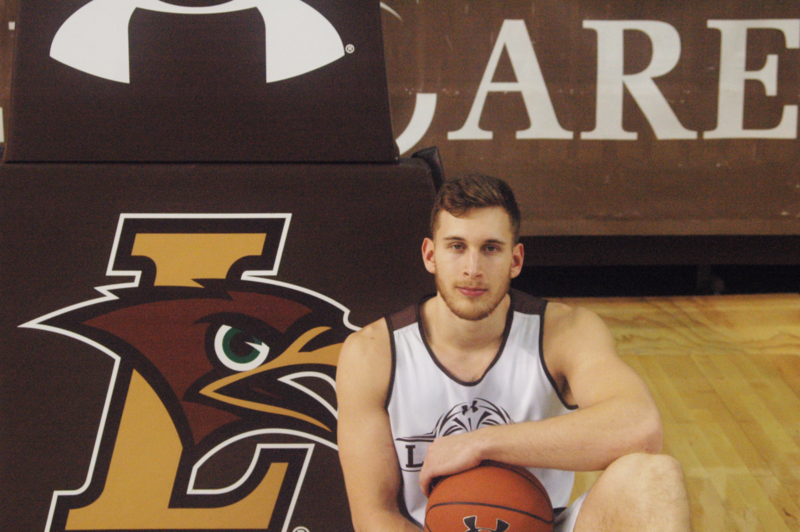 Coming from Surrey, British Columbia, Karnik realized he needed to find his voice on the team, as he was stepping into a big role for the Mountain Hawks. As a freshman, Karnik started 29 out of 30 games and averaged seven points and seven rebounds per game. He came in and immediately made an impact, especially with his work ethic and energy. Junior forward Pat Andree was impressed with Karnik from the start. Junior guard Jordan Cohen was also excited about how vocal and energetic Karnik was from the beginning of his college career. However, Karnik isn’t completely satisfied with what he’s done since coming to Lehigh. During his freshman season, Karnik struggled with foul trouble and pacing, but eventually got used to the flow of the game. This year, he wants to do more. Karnik said he lacked confidence last year. 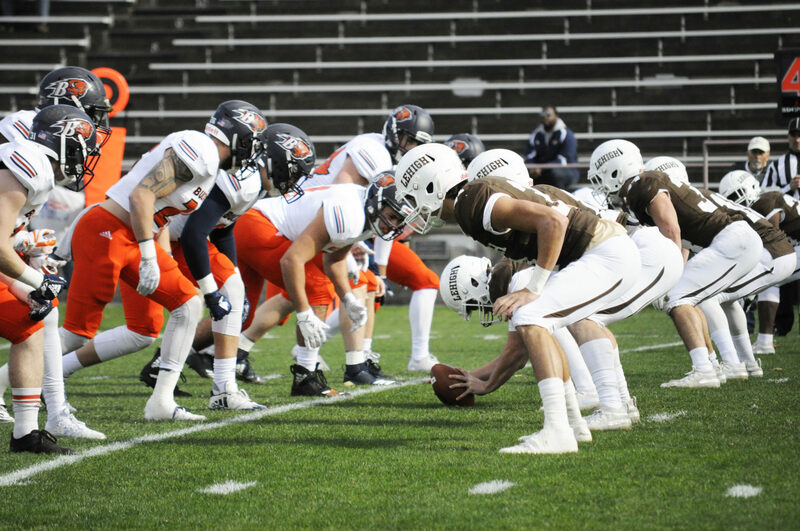 If he had a bad game, it was hard for him to get back into it, but now he knows he belongs with the Mountain Hawks. Andree said he believes Karnik can be even more of a threat this season. Andree said he is relentless, especially in practice where he brings an intensity and energy to the team. Karnik also hopes to be recognized as a first or second-team All-Patriot League selection, as well as average a double-double. “On the court, I want to be known as a leader, energy guy, tough, dedicated and willing to do the gritty stuff to get the job done,” he said. Karnik also wants to be a good teammate. Picked by many as championship favorites, Karnik knows that the team cannot get complacent. 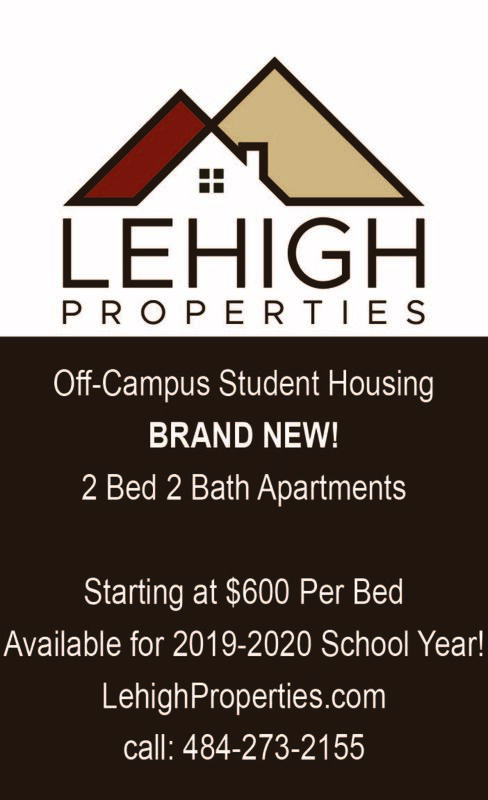 The 2018-2019 Lehigh men’s basketball team will kick off their season Nov. 6, at 8:30 p.m. when they head to West Long Branch, New Jersey to take on Monmouth.